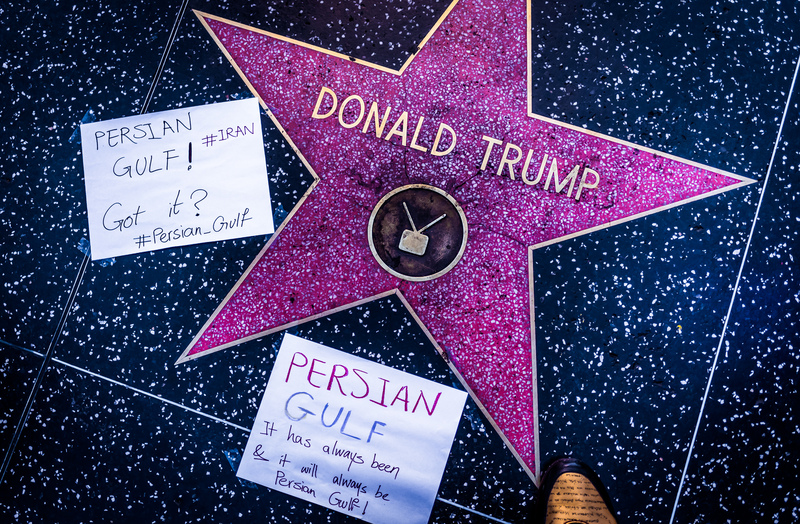 This week President Trump refused to call The Persian Gulf, “The Persian Gulf.” Instead choosing to call it “The Arabian Gulf.” Like everything else he does, it became a national news story. 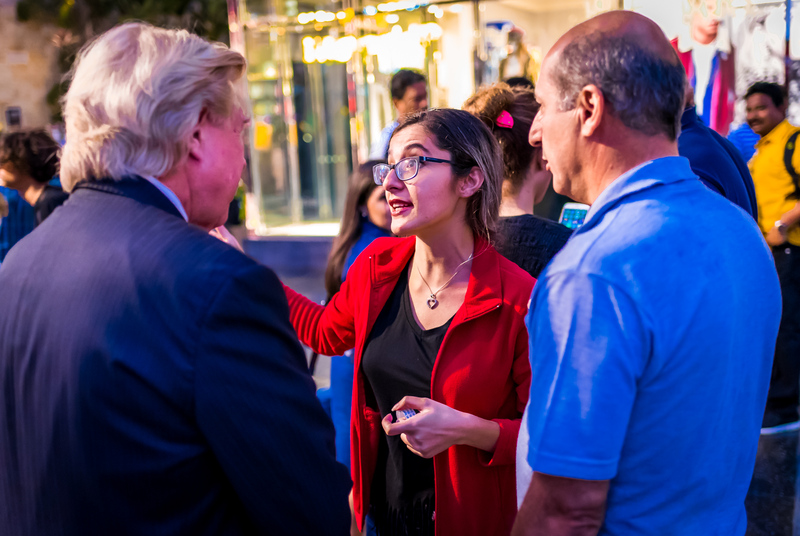 When this group of people – Los Angelenos of Iranian descent, I’d guess – saw the Trump Star they took out a sharpie and made signs protesting the slight. They came back a little while later with scotch tape so their signs wouldn’t blow away so quickly. 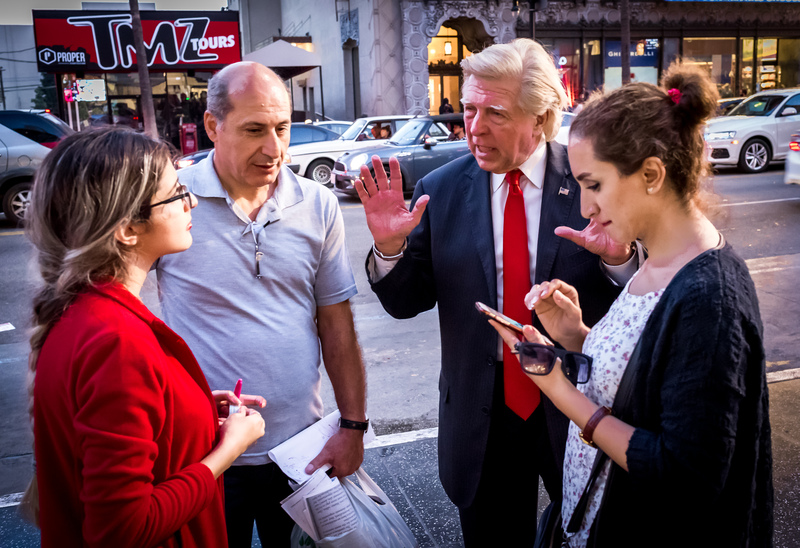 Since they had no access to the “real” President Trump to protest, they instead plead their case to the Donald Trump impersonator who was at The Star.